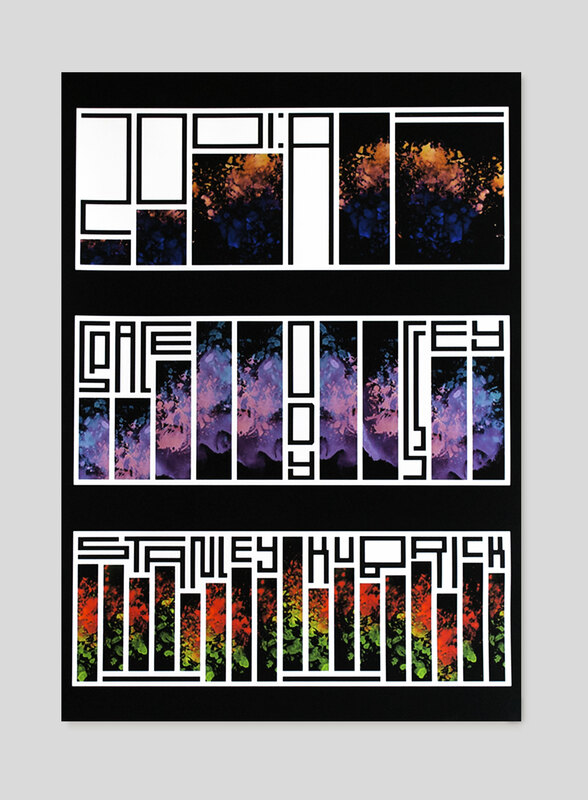 This is a poster series for the movie 2001: A Space Odyssey, by Stanley Kubrick. During the process of making, the effect that soundtracks have in the movie was emphasised, by being translated into a musical chart. The combination of analogue and digital ways of production that Kubrick has used for the film were a great inspiration. The colors have all originally been produced by hand, as though the shapes and lay-out has been done digitally.